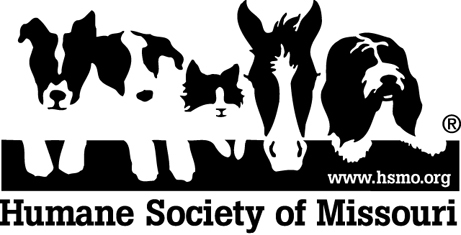 Established in the early 1960s, the Humane Society of Missouri’s Animal Cruelty Task Force is dedicated to intervening for animals at risk from abuse, neglect and natural disasters and emergencies in all 114 Missouri counties and the City of St. Louis. In any given year, the Animal Cruelty Task Force (ACT) travels more than 290,000 miles making more than 18,000 responses to reports of abuse and neglect involving nearly 22,000 animals. Ten professionally trained and experienced ACT animal cruelty investigators work with owners to improve treatment of their animals and with local law enforcement to remove the animals if the situation does not improve. 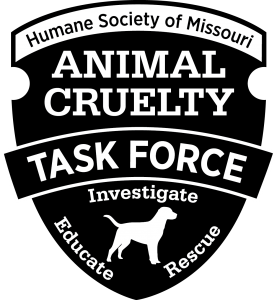 Animal Cruelty Task Force members help educate the public about appropriate standards of care for their animals according to Missouri law. They also provide knowledgeable and expert testimony in legal cases, legislative changes, and provide consultation and training workshops for law enforcement, state agencies and local animal care and control workers. HSMO’s Animal Cruelty Task Force is the only St. Louis area animal welfare agency on call 24-hours-a-day, 365-days-a-year in St. Louis City and County to rescue animals in distress and transport sick and/or injured stray animals. HSMO’s statewide Animal Cruelty Investigators are a safety net for animals in areas where little or no local animal care and control exists. They handle large-scale abuse cases involving substandard puppy mills, hoarders, dog fighters and abuse and neglect of horses and farm animals. The Animal Cruelty Task Force has been designated the State Emergency Management Agency (SEMA) as the lead animal welfare organization to respond to emergencies and disasters in Missouri. HSMO’s Disaster Response Team rescues and shelters animals when floods, tornadoes, blizzards, extreme heat, ice storms, earthquakes and other emergencies occur. Special training and state-of-the-art equipment allow the Animal Cruelty Task Force to handle even the most difficult rescues.